We are going to talk about gardening and about the tools that are used to practice this activity. Gardening is the practice of conserving gardens. It includes cultivating flowers, trees, or vegetables in open or closed spaces. It can be done for aesthetic values, for food, as a business or for pure pleasure. We often use tools to make our task easy. 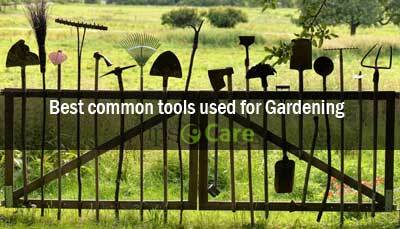 We give the detail of some tools used for gardening here. There are studies that ensure the benefits of gardening because it is a relaxing and satisfying practice. And really, having a garden is a pleasure. But you have to be aware that it requires maintenance, investment of money and time. Of course, the results will be positive. There is a variety of inputs to create a garden. First, you have to define what kind of garden you are going to have. Are you going to plant flowers or vegetables? Of course, you do not have to choose just one option, but you should delimit the spaces. In one area you can grow flowers and in another area, you can grow vegetables. It is also important that you know the climatic conditions of where you are located and also know the properties of your land. Look for the seeds of the species that best adapt to the conditions of your soil. There are many themes that you can apply to your garden. You can give it an oriental look or use something more modern and use other elements, such as a font, for example. It has plenty of options at your fingertips. Encourage yourself to explore your creativity. Something quite important is that you know the tools that are used for gardening. There is a great variety because they all fulfill specific tasks. At the time of gardening, you must have the necessary tools so that you do not end up hurting yourself. Do you want to know about these tools? Well, let’s talk about Tools Used for Gardening. 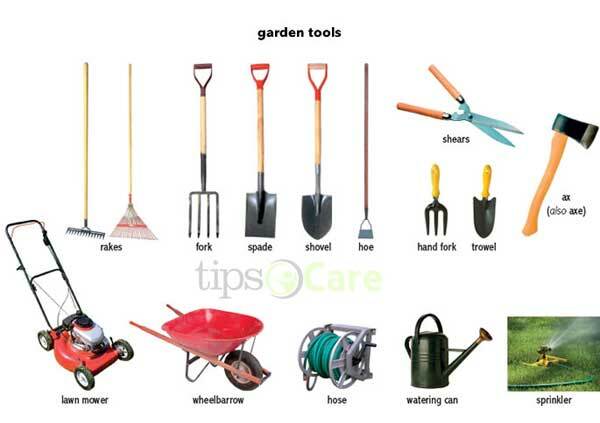 When selecting tools used for gardening, you should be clear about the work you are going to do in order to acquire the correct tools for each job. There are many options and that can be a bit confusing but a specialized tool will make your task much easier. You should also hold the tool before buying it, try to feel how it feels in your hand. Remember that you will be using that tool for several hours and it is important that you find it comfortable. The weight is also very important. The long tools are usually very useful but the most advisable is that you choose one that will not leave you exhausted in a short time. One of the main tool is gloves. There are specialized gloves for gardening, they are resistant and with anti-slip textures for better grip. Implements for the maintenance of the garden, such as a broom, sacks for waste, rake, and shovel. They are very useful to maintain the care and daily cleaning of your garden. You must have a saw to cut branches and cut. They are an elongated tool with a metal saw blade that is replaceable when it is worn out. It’s also important to have axes and saws because they are necessary to cut wood. Small tools such as shovels, brooms, rakes, forks, planters, hoes are excellent for their ease of use and transfer. They are lightweight and allow precise work. For the preparation of the earth, it is important to have powerful tools such as picks, shovels, perforators, pitchforks and blades as they are necessary tools to perform work in your garden. If you have the opportunity to acquire spare handles for your tools, it would be excellent, because this part also wears a lot and is what can be replaced. You should also think about how to collect the waste, in addition to using sacks. There is a variety of plastic buckets and buckets that are very comfortable to use and have enough capacity so you can clean your garden and keep everything in order. The market offers you a variety of specifications among the tools used for gardening. As hoes with different types of a beak, cultivators, blades of different sizes, pitchforks of different shapes, weed extractors, and much more. Many experts say that gardening helps reduce the risk of cardiovascular disease and diabetes. It is a relaxing activity that decreases stress, anxiety and mental fatigue. For this reason, it is also considered a good option to combat depression. Physical activity helps you burn calories, you nourish yourself by breathing fresh air and receiving sun. In addition, there are studies that ensure a reduction of the risk of suffering from dementia and Alzheimer’s disease, if gardening is practiced regularly. 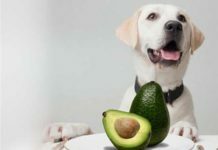 Since you know all these benefits, you know the conditions that your land must have and the tools that you should use, to encourage this activity. A great advantage is that it can be done alone or accompanied. It is a good option to spend a different day with the whole family collaborating and working together. The tools used for gardening are vital and it’s important to have the tools that adapt to the needs of your garden. Whether it’s for maintenance or renovation, you’re going to need specialized tools. If you think that having all those tools just to work the garden is unnecessary, let’s remember a bit of history. The Gardens of Babylon, one of the seven wonders of the ancient world. In the imperial palace of Babylon, these gardens of exuberant beauty were erected. They were like a great pyramid because it had several terraces that stood out. It was a gift from the emperor for his wife, to remind her of the mountains of her land. Only with the right tools could such a wonder be built. An exotic and beautiful garden has been a symbol of the city of Babylon for two centuries. A garden represents the essence of the people, offers the satisfaction of creating and contemplation. When you buy tools used for gardening you will be making an investment to build your own wonder. 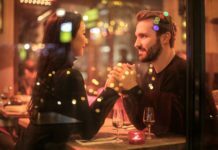 Previous articleHow social media affects relationships? 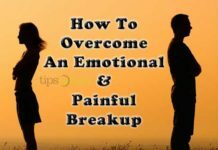 Next articleWhat to do after a break up to overcome?